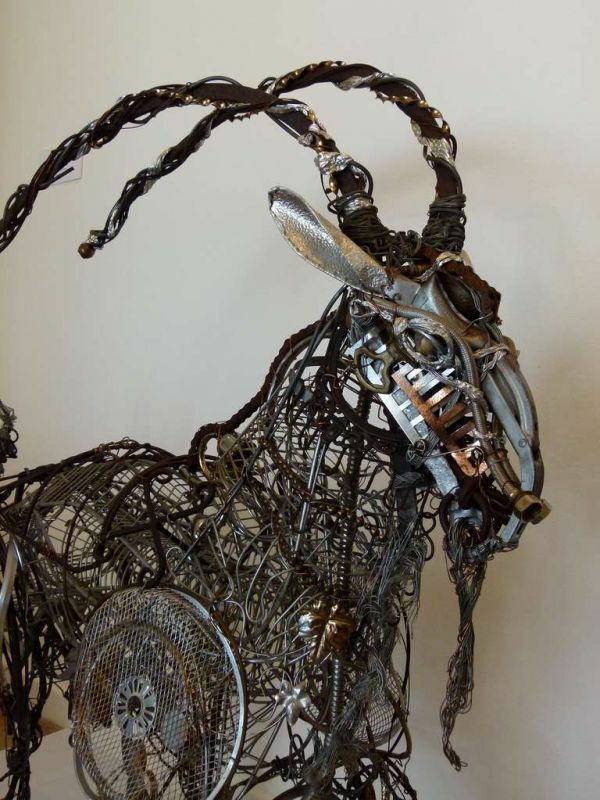 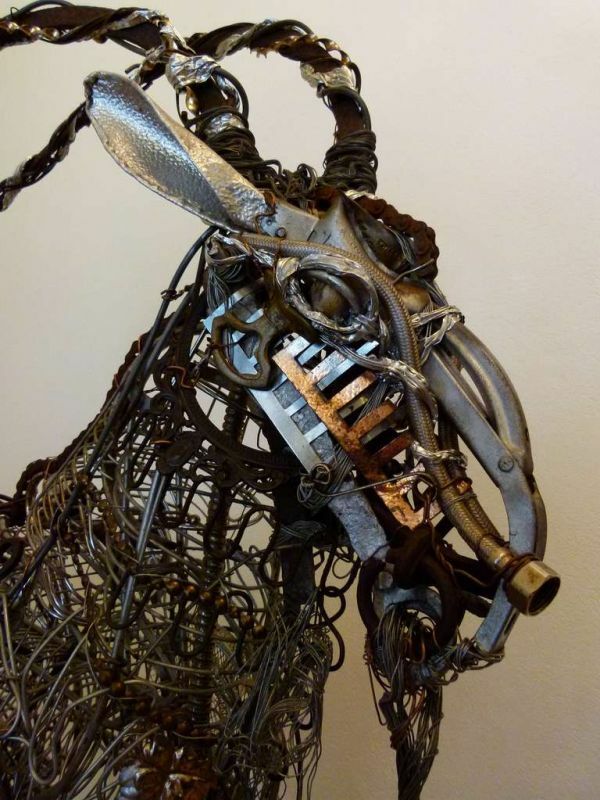 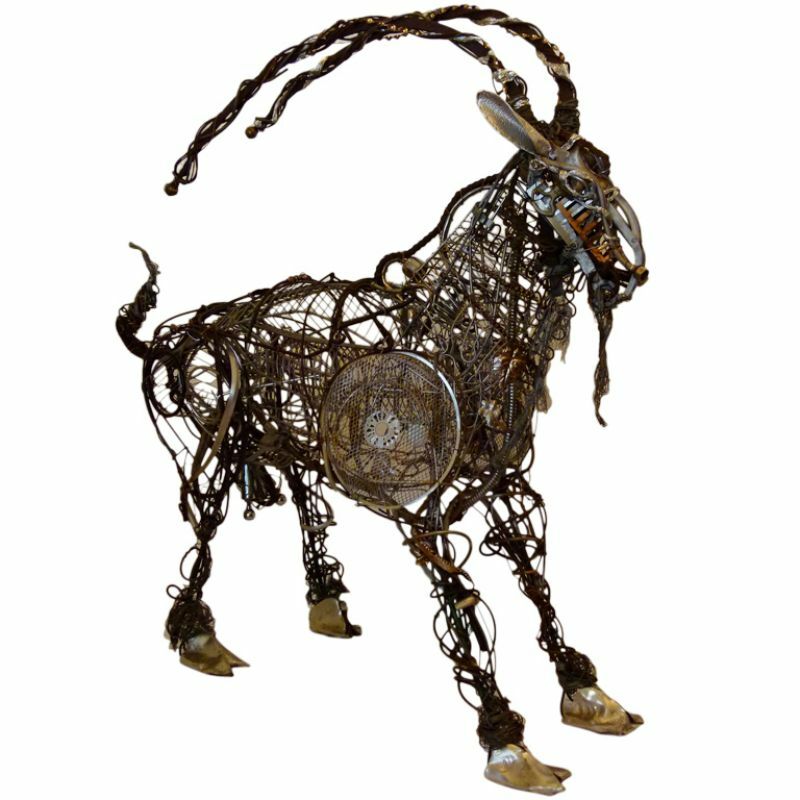 An abstract sculpture of a mountain goat made using a selection of scrap metal, including steel, copper, aluminium and brass, resulting in beautiful contrasting metallic tones, and with age, if placed outside would develop green verdigris colours. 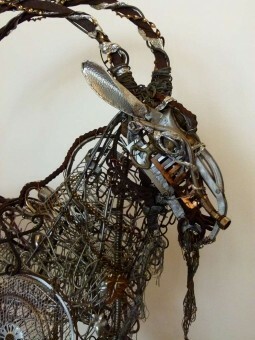 This contemporary work was created in 2011. "Mouli" derives his name from the vintage Mouli food grater, which makes up his forehead and nose. Richard Dawson-Hewitt has been creating sculptures from scrap metal for almost sixty years. 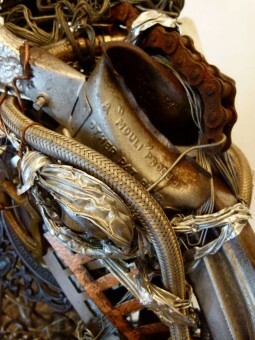 His eye for shape and form is astonishing. 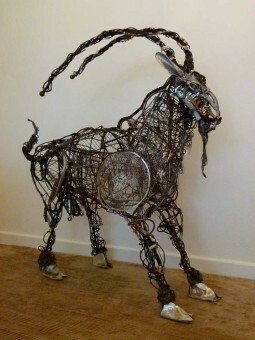 The measurements are 120 cm wide, 40 cm deep and 132 cm high.